Until and unless the next Samsung Note flagship arrives with all its glory. We could say that the latest and best ever Note device we’ve now in the market is none other than the Galaxy Note 8. Gorgeous slate-like design and the S-Pen are what strikes on our mind foremost whenever we hear the name of it. Equally tempting is the Live Drawing feature that debuted with the phablet, perhaps elevating the utility of S-Pen even further. Ever since the Note 8 has been officially released. Handful of Samsung mid-rangers as well as the new S-flagship duos have arrived somewhere around in gone days. But, the fact is that none of them boarded the Live Drawing feature out-of-the-box. Even the Galaxy Note FE was kept away from it. The reason may be Samsung likes to keep the Live drawing exclusive to Note 8 and its successors only. No root is access is required for the method to work as we’re simply sideloading the required app. Download the suitable Live Drawing APK for your device from the Downloads section at the bottom. Store the Downloaded APK safely on any folder on your device. Now, click on the APK to initialize the process of installation. Grant Unknown Sources APK installation permission. Let the installer finish off the installation process. After successfully installing the APK, reboot the device. By that, you should have prepared the device for performing the Live Drawing feature. For checking whether the app is installed or not, summon the Samsung Keyboard and look for the Live Drawing option. 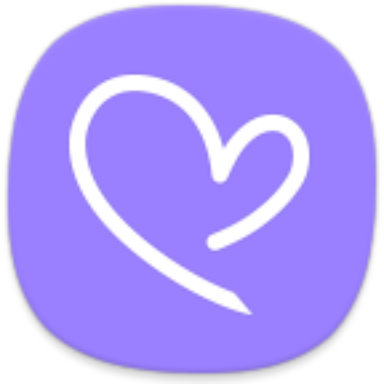 It’ll be present as an additional “Heart” symbol on the “toolbar” key of the Samsung Keyboard. Click on it and see…the Live Drawing platform will pop-up. Draw your heart out using the Samsung’s magical Live Drawing feature. Here’s how the Live Drawing feature works on the Galaxy A8+ running Nougat 7.1.1. Confirmed to work in most of the A, S and C Series devices with Stock ROM Android 7.0 or up. However, they do exist some exceptions such as some J-Series devices(Galaxy J5(2016), Galaxy J7(2017) and so on.) on which the feature is reported as non-functional. Keep your Samsung Keyboard updated to increase the success rate. Powerful the SoC/GPU lower the latency and buttery smooth drawing experience. Hope you’d enjoyed the tutorial and haven’t experienced any issue. If yes, please do let us know in the comment section below. Previous articleGalaxy Note 9 reportedly to come with an 8GB RAM/512GB storage option!